The memoir of a life lived on the water, from a veteran writer and surfer. William Finnegan has spent much of his life chasing challenging waves. A staff writer at The New Yorker since the 1980s, he is one of a handful of people with the credentials to bridge the gap between surfing and literary cultures. Barbarian Days: A Surfing Life is a 447-page paean to Finnegan’s obsession with surfing—both in and out of the water—from tribal affiliations and rivalries to sacrificed relationships and bruised egos (mainly his own) that come from loving something deeply. Divided into 10 chapters, the book traces Finnegan’s life on the water, starting from his early days as a grom (neophyte surfer) in Southern California. Now 62, Finnegan came of age during the 1960s, a time that coincided with the rise in popularity of shortboards—a faster, more maneuverable board that replaced mellower longboards. Surfing fit into the broader milieu of experimentation and counterculture and appealed to his anti-authoritarian leanings. His fate was sealed when his family moved to Hawaii, the mother ship of surf culture. From there, he ventured to the farthest-flung outposts of the surfing world, at one point embarking on a multi-year journey to Indonesia, Australia, and South Africa. What emerges most strongly from Barbarian Days is that, for the dedicated, surfing is more than a pastime: it’s a life’s practice that is defining. Finnegan belongs to the tribe, and the book shows he’s not immune to the craziness. His idea of a vacation, for instance, is recruiting other like-minded surfers to pioneer the punishing surf of Madeira, a remote Portuguese island located in the North Atlantic. Surfers often gather around the campfire to swap stories, and if you’re on the surf spectrum, Barbarian Days is compelling and familiar, from its descriptions of the mental ability required to plunge down a precipice of fast-moving water to how a sense of timing and instinct can stave off serious injury. For non-surfers, his frank descriptions of managing fear in heavy surf will be revelatory. Finnegan lingers a little too long in certain spots, where he could have taken to heart the essential surf rule of “glide and trim.” Fortunately, he always regains the story’s forward momentum. In the hands of a less-capable writer, the adventurous narrative could have sounded like a B-movie plot, but his sure-footed prose stops short of becoming too misty-eyed or mythopoeic. Finnegan clearly derived a lot of satisfaction from surfing at the edge of his abilities, and he shares that joy with us. 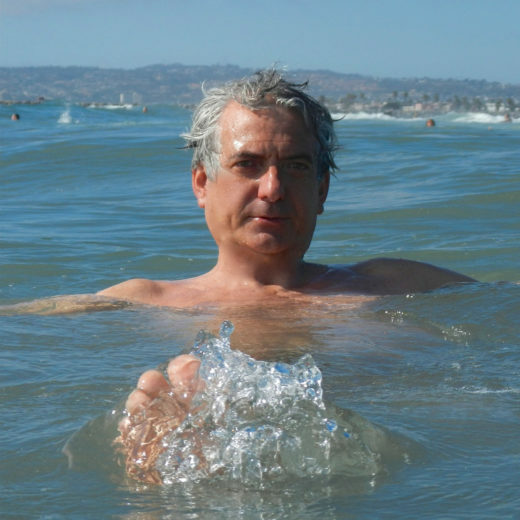 Enrique Gili is a freelance writer based in San Diego, California, focusing on the intersection between nature, science, and technology, with a twist of food politics. His work has appeared in Aeon, Pacific Standard, Ensia, Deutsche Welle, and Mother Nature Network. He catches waves wherever and whenever he can. Cite this Article: Enrique Gili “Book Review: Barbarian Days,” Hakai Magazine, Jul 22, 2015, accessed April 25th, 2019, https://www.hakaimagazine.com/article-short/book-review-barbarian-days/. In Mahabalipuram, India, a fisherman turned surfer turned sculptor helps shape the region’s growing surf scene. An ancient Peruvian tradition of building and paddling reed boats is kept alive by a small group of fishermen, including Juninho Urcia, a champion surfer in his 20s.